Recipe numero dos is another vegetarian dish. So I feel the need to tell all of you out there that I do follow a semi-vegetarian diet. If we wanna be fancy about it, we can call me a pescetarian! I am a vegetarian who eats seafood. I also eat dairy and eggs. While this is the lifestyle I choose to follow, I am not here to convert anyone to vegetarianism. Having said that, a majority of the recipes I share will be vegetarian. But good news! You don’t have to be a herbivore (plant-eater) to enjoy some tofu every once and a while! Plus, there are some health benefits to being a vegetarian or eating vegetarian occaisonally, including lowering your risk of heart disease! So listen up and let me tell you a little bit about tempeh! Tempeh is a fermented food made by cooked soybeans with Rhizopus mold (starter). YUMM! This mold is what ferments the tempeh, binding the soybeans into a compact white cake-like shape. A favorite food choice of Indonesians, tempeh is their staple protein source. This vegetarian protein has a firm texture and a nutty-mushroom flavor. It is usually prepared by frying until golden brown and makes a great addition to stir-frys, soups, sandwiches, spreads, and salads. Tempeh can be easily made at home or purchased from the grocery store. Tempeh can serve as a great source of protein for vegetarians, vegans, and omnivores alike! One serving of tempeh generally has 16-20 grams of protein. That’s about the same amount of protein as one serving of meat! And what do we know about protein?! It is such an important part of our diets to help maintain our metabolism and muscle mass, and of course to help keep us feeling full! Isoflavones have many health benefits. They are natural antioxidants to help keep you lookin young! They also help reduce the risk of heart disease and certain cancers, improve menopause symptoms, and keep your bones strong. 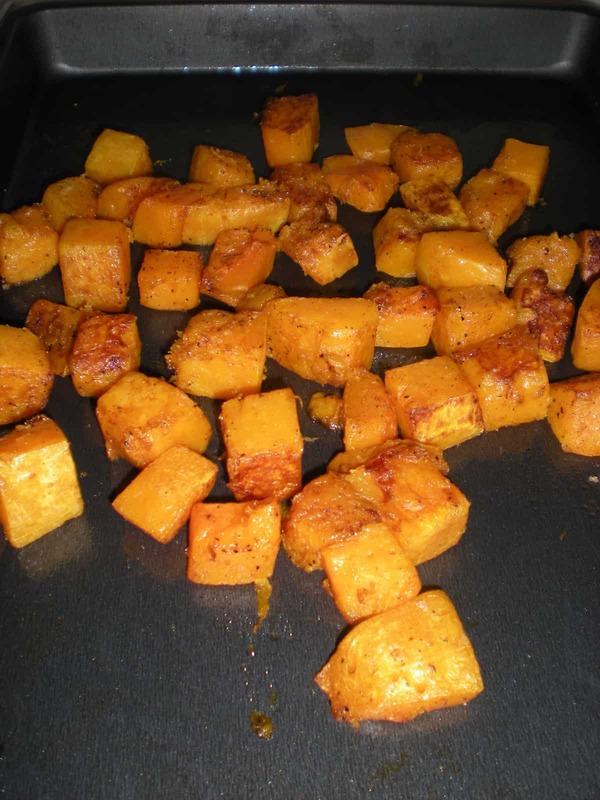 The sweet potatoes impart a lovely sweetness to the flavor of the tempeh marinade. A word to the wise: my tempeh tasted a little too salty so make sure you use a low-sodium tamari! 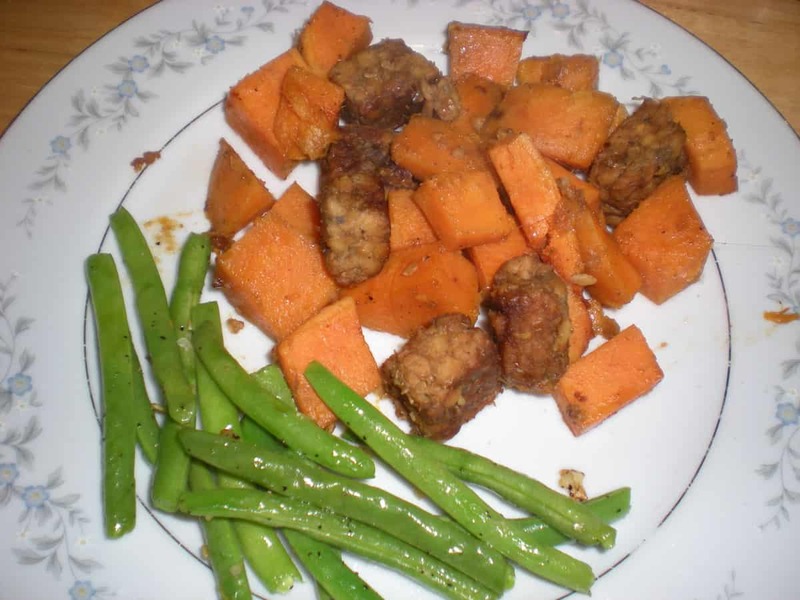 Serve with a side of green veggies (I chose green beans) and you got yourself a well-balanced meal! Let me know how yours turns out! I would love to hear! Have you tried any tempeh recipes you would like to share? I’m a big fan of TLT (tempeh, lettuce, tomato) sandwiches. The first time I did it I used this recipe http://www.101cookbooks.com/archives/tlt-sandwich-recipe.html, but left out the brown sugar. The avocados were essential. I think we added goat cheese too. Robby that recipe sounds awesome! I’ll definitely have to try it. Thanks for sharing! I have made TLT sandwiches with tofu but I should give the tempeh a try! Awesome info! Great recipe too. I dabble in vegetarian recipes, looking forward to trying this one. Thanks Tera, I’m glad you like it! Let me know how the recipe turns out when you try it!